Product categories of Sanitary Series, we are specialized manufacturers from China, Sanitary Napkin, Baby Diaper suppliers/factory, wholesale high-quality products of Adult Diaper R & D and manufacturing, we have the perfect after-sales service and technical support. Look forward to your cooperation! Lady, baby and old man is the very important group in the society. 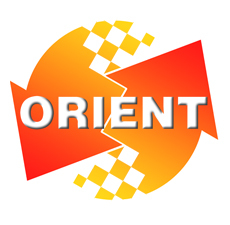 ORIENTMED aim to solve this group's Sanitary problem. The main products are Sanitary Napkin, Baby Diaper, Adult Diaper and Wet Wipes. With a auto producing line, ORIENTMED could supply 20 *40HQ Lady napkin per month. Our products has get the CE, ISO, FDA. WIth a rich export experience, we service many client in the world. We has sold agent in Kazakhstan, Austrilia, Chile. As for the registration, we have full of experience. Welcome to ask us for more information! Welcome to visit us and check our products. For health, we will do better!